I guess you had to be there. I'm a fan of Steve Allen and old tv, but I never heard about this. 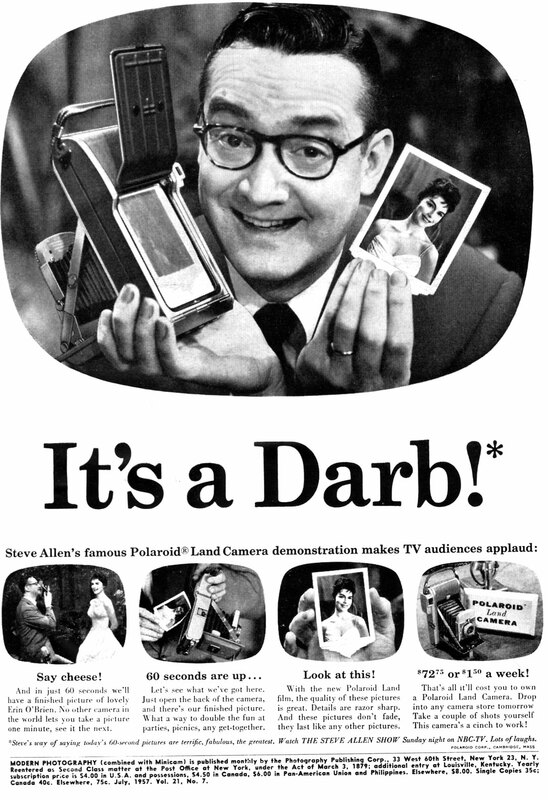 I have no idea who or what a Darb is, since the model is actress Erin O'Brien. But whatever. Another fairly rare bit of cross-promotion. You don't see many celebrity endorsements in photo magazines--even though I've got another Steve Allen endorsement in the same magazine, for a different company. Cash in while you can.